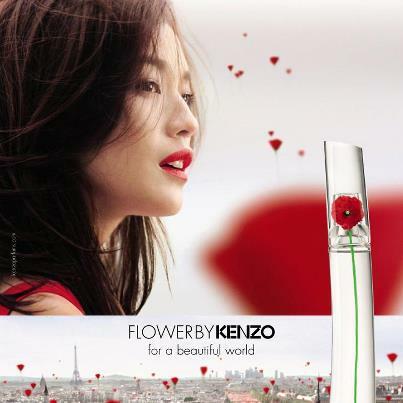 A atriz Shu Qi, a musa asiática, foi nomeada o novo rosto para 2013 Flower by Kenzo. É uma das atrizes que foram crescendo e ganhando reputação internacional. Patrick Guedj, director artístico da Kenzo Parfums a descreve como uma mulher talentosa, com uma beleza subtilmente sensual e hipnótica, as razões que contribuíram para a musa que foi escolhido para a marca criativa do filme seguinte. The actress Shu Qi, the Asian' muse, was named the new face for 2013 Flower by Kenzo. It is one of the actresses who have been growing and gaining reputation internationally. Patrick Guedj, artistic director of Kenzo Parfums describes her as a talented woman, with a subtly sensual and hypnotic beauty, reasons that contributed to the muse that was chosen for the next film's creative brand.